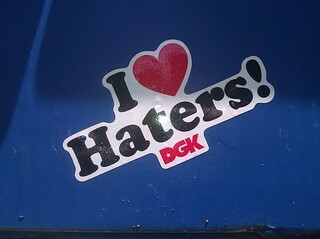 This sticker was on a dumpster that was in the parking lot of an midrise office building in Midtown Atlanta. 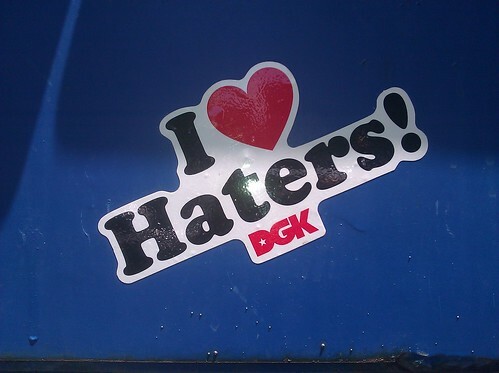 I guess the person who posted this was familiar with the famous quote " Make yo' HATERS yo' MOTIVATORS." ©2011 SentAsha! Donated to Creative Commons.